The 18-hole ASU Karsten Golf Course in Tempe, Arizona is a public golf course that opened in 1989. Designed by Pete and Perry Dye, ASU Karsten Golf Course measures 7057 yards from the longest tees and has a slope rating of 133 and a 74. Ken McDonald Golf Course is the design of local architect Jack Snyder. 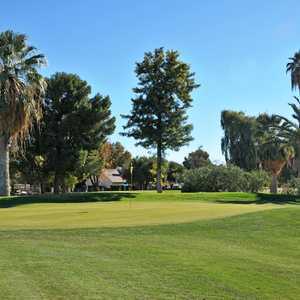 Since opening in 1974, it has ranked consistently as one of the top daily-fee golf courses in Arizona. This course is a favorite among both locals and visitors. Rolling Hills Golf Course is nestled within scenic Papago Park, a location that provides a desert terrain and stunning views. It's one of the Phoenix metro-area's most popular executive courses. The par-62 layout is gentle enough for beginners but more advanced players will still find it to be an enjoyable round. 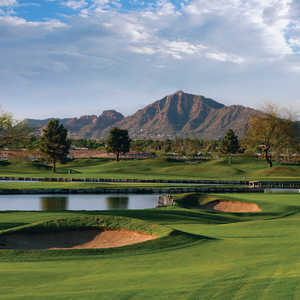 Shalimar Country Club in Tempe is a nine-hole course comprised of three par 3s and six par 4s. Towering trees frame the holes and there are also strategically placed sand traps placed along the golf course's rolling hills.